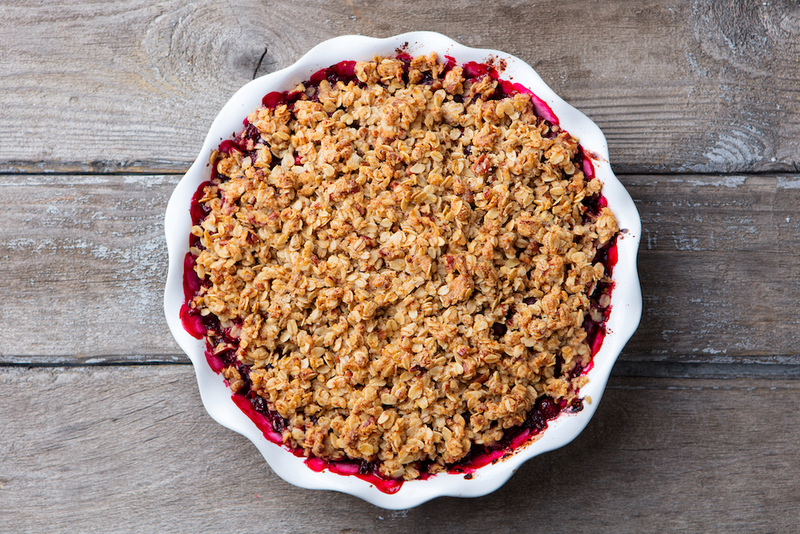 Enjoy this delicious and healthy recipe for Berry Crumble! My family loves this dessert for Sunday night! It’s filled with anti-oxidants. Preheat oven to 375°F. Coat an 8-inch square (or 2-quart) deep baking dish with cooking spray. Toss berries with granulated sugar, lemon juice, and 1 tsp. cinnamon in a large bowl. Transfer to the prepared baking dish, cover with foil and bake for 30 minutes. Meanwhile, combine flour, oats, brown sugar and the remaining cinnamon in a medium bowl. Mix to blend. Stir in oil and nuts; toss well until evenly moistened and clumpy. Remove the foil from the baking dish and scatter the topping evenly over the berries. Bake uncovered until the topping has browned and the fruit is soft and bubbling, about 30 minutes more.